Motorola has launched the Moto X Play smartphone in India, priced at Rs. 18,499 for the 16GB variant, and Rs. 19,999 for the 32GB variant. The latest Motorola smartphone will go on sale via Flipkart, Motorola’s exclusive online retail partner, from midnight Monday. The company, as before, has announced a galore of launch offers with its latest smartphone launch. 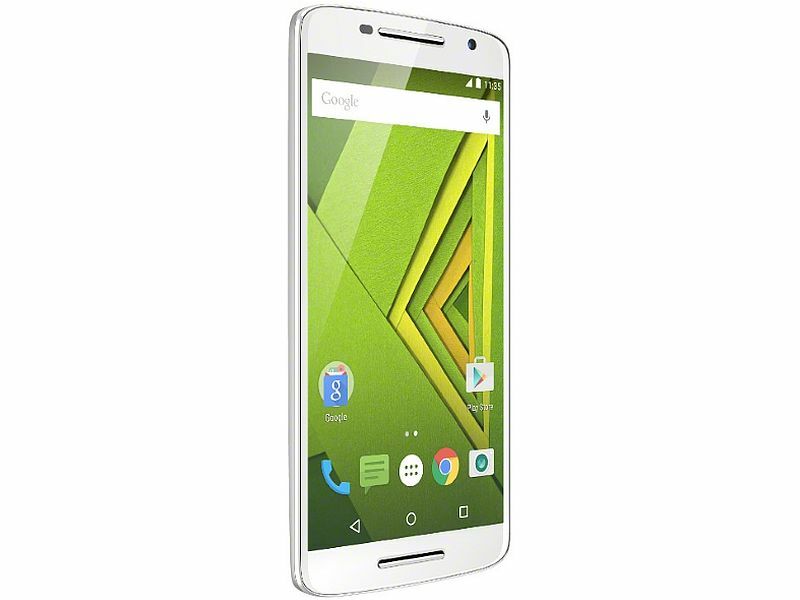 The Android 5.1.1 Lollipop-based Moto X Play smartphone features a 5.5-inch full-HD (1080×1920 pixels) display offering a pixel density of 403pppi. It also features Corning Gorilla Glass protection. The smartphone is powered by a 1.7GHz Qualcomm Snapdragon 615 octa-core processor coupled with Adreno 405 GPU and 2GB of RAM. The highlight of the Moto X Play is its 21-megapixel rear camera which comes with f/2.0 aperture and CCT (Colour Correlated Temperature) flash with dual-LED modules. The rear camera features Phase Detect Auto-Focus (PDAF) and can record 1080p HD video at 30fps. Some of the other camera features include tap anywhere to capture; slow motion video support; video stabilisation; 4X digital zoom; burst mode; night mode; auto HDR; Panorama, and drag to focus and exposure. There is a 5-megapixel front-facing camera also on board. The company has launched the dual-SIM variants of the handset in India, supporting Nano SIM cards. The smartphone will be available in Black with Black back and White with winter White back colours. Much like other Moto devices, the Moto X Play also features water repellent nano coating.The handset is backed by a 3630mAh battery with the company claiming a mixed usage of up to 48 hours. Quick Charge support can delivery 8 hours of usage with 15 minutes of charge. A Turbo Charger can be bought separately at Rs. 1,000. It measures 148x75x10.9mm and weighs 169 grams. Launch offers (valid from September 15 to September 20) include 100 percent cashback for 100 lucky customers using Flipkart Ping. Buyers will also get a Flipkart e-gift voucher worth Rs. 1,000, and a free movie voucher worth Rs. 500 from BookMyShow. MakeMyTrip is offering travel vouchers up to Rs. 5,000, up to Rs. 1,500 off on domestic hotel bookings via mobile app, Rs. 1,000 cashback on domestic flight bookings via mobile app, and a holiday package to Bangkok or Goa for two lucky customers. Amit Boni, General Manager, Motorola India, added that the Moto X (Gen 2) will be slowly phased out in the country. He said that Moto G 3rd Gen is the fastest selling phone on Flipkart, and has thus far “selling 40 percent more than previous models.” The company’s Care on Wheels after-sales service program, currently only available in Delhi NCR, is also coming to Bengaluru and Mumbai soon.